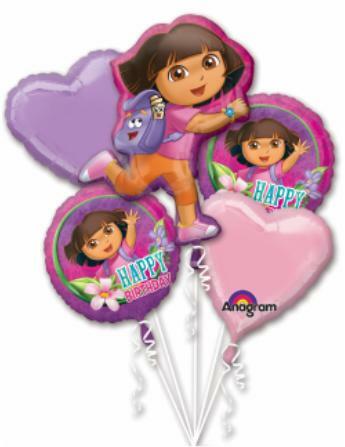 A very special arrangement for those Little Dora the Explorer fans! Bouquet of Balloons as shown, $35. If this is not enough balloons, add a Dozen (12) - 11" Decorator and Solid Colour Latex Balloons to this bouquet, $59.